Getting your roof done is one of the biggest home improvement investments you will need to make at least once in your lifetime. And for big investments such as these, you would naturally want to make sure that the project will be hassle-free and that you’ll be getting what you paid for. This is where drawing up a foolproof contract with your roofing contractor will come into play. This will allow you and your roofer to get a clearer idea of both your expectations in all the project details—from clearly defined payment terms, to the expected project deliverables, to the project timeline. • Detailed job description specifying contractor and homeowner responsibilities – This will provide you with all the details of what you can expect from your roofing contractor and what the roofing contractor expects from you in your home improvement project. • Detailed outline of costs and total cost – Detailing the actual cost of the entire project as agreed upon by both parties. • Procedure for work orders or changes to initial agreement – When unavoidable issues and delays arise, changes in the contract can be allowed, especially if the change would benefit both parties. • Itemized materials list and any warranty information – Provides you with detailed info about the materials you’ve paid for. This clause will also include the warranty information for each product. • Proof that the contractor holds the appropriate licensing (if applicable), insurance and bonding – This will ensure you’re dealing with a legitimate business. This can be done by checking the Labor & industries website https://secure.lni.wa.gov/verify/ . A copy of a license or certificate of insurance does not mean they are in force, they may have been cancelled for different reasons by the state or for non-payment. • Make sure your contractor provides you with a copy of the lien laws – By law they should be printed on the contract you sign. You don’t want to end up paying for your roofing materials twice! • Make sure your contractor is licensed to have employees work for him – you can also check to see if their workers comp account is current and up to date with no violations. If employees are not covered you are responsible for any injuries that occur on your worksite. https://secure.lni.wa.gov/verify/ This will show you any work place safety and health violations, also any license violations. • Termination clause that describes certain conditions by which the homeowner or contractor may leave the job without penalty – This will protect you from any liabilities should provisions not be met. 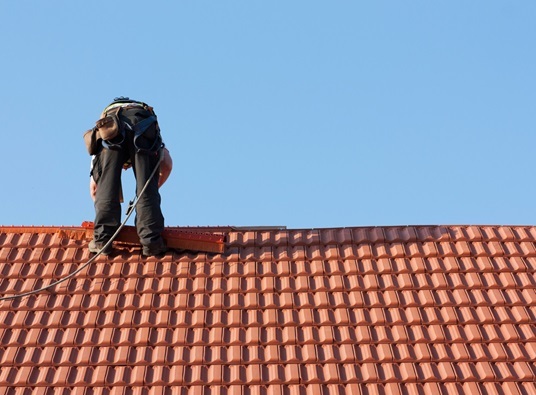 If you’re thinking of replacing or repairing your roofing in Federal Way, WA and the surrounding areas, you can count on Tedrick’s Roofing for quality service. We are a fully licensed and insured business, as well as roofing contractors certified by GAF and CertainTeed, two of the top roofing manufacturers in the country. Know more about our company, products, and services by browsing through this site or by giving us a call. You can also ask for a FREE estimate by filling out our online request form.